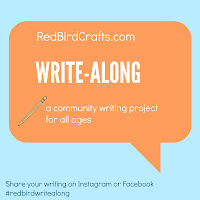 red bird crafts: Show Me a Story :: Launch Party on 9/15! 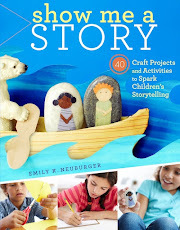 Show Me a Story :: Launch Party on 9/15! 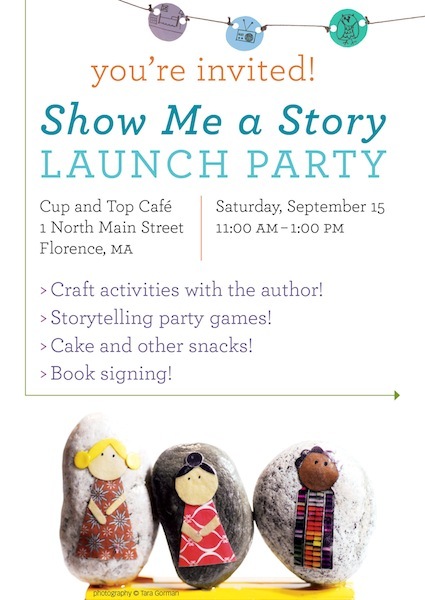 I'm so happy that my book launch party will be at 'The Cup and Top Cafe! It is wonderful, fun space with delicious, fresh, healthy food and lovely people. 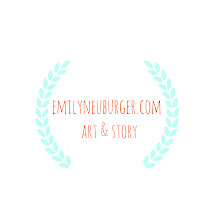 I'll be running a craft, signing books, and there will be fancy cake (baked by the talented Cup and Top baker). If you happen to be within driving distance of Florence, Massachusetts, I'd love to see you there. Saturday 9/15 from 11-1. For now, Happy Labor Day to all those in the states! We spent bath time last night chatting about workers' rights and all of that good stuff and today we're thinking about those who work extremely hard each and every day.